Each year the Newcastle Poetry Festival holds a translated Poetry event. 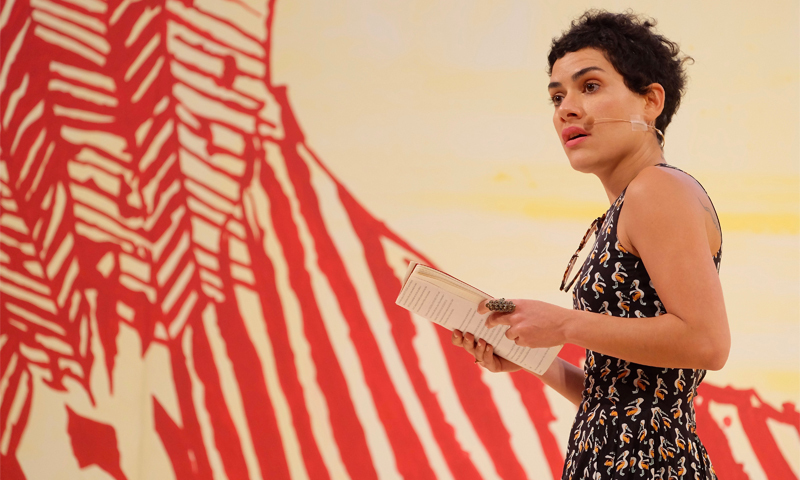 At this year's festival Brazilian poet, Adelaide Ivánova, whose first poetry collection, O Martelo (The Hammer) won the Rio de Janeiro Poetry Prize in 2018, and poet and translator Rachel Long, founder of Octavia: Poetry Collective for Womxn of Colour will be performing at this event as part of Ivánova's UK tour. They will be joined on stage by Kim Hyesoon, one of the most prominent and influential contemporary poets of South Korea, and her translator the Korean-American poet Don Mee Choi, author of Hardly War (Wave Books, 2016) and the recipient of a Lannan Literary Fellowship.